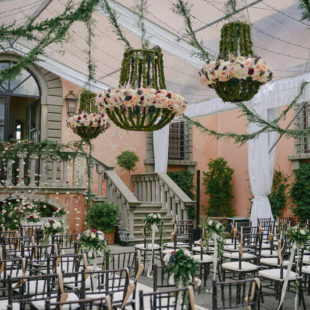 There is nothing more romantic than having your destination wedding in a small church nestled in the green hills of Tuscany overlooking Florence. 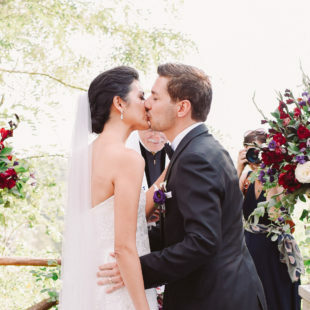 This is where Paul and Cath, a lovely couple from Australia, among family and friends, chose to start their lifelong journey together. 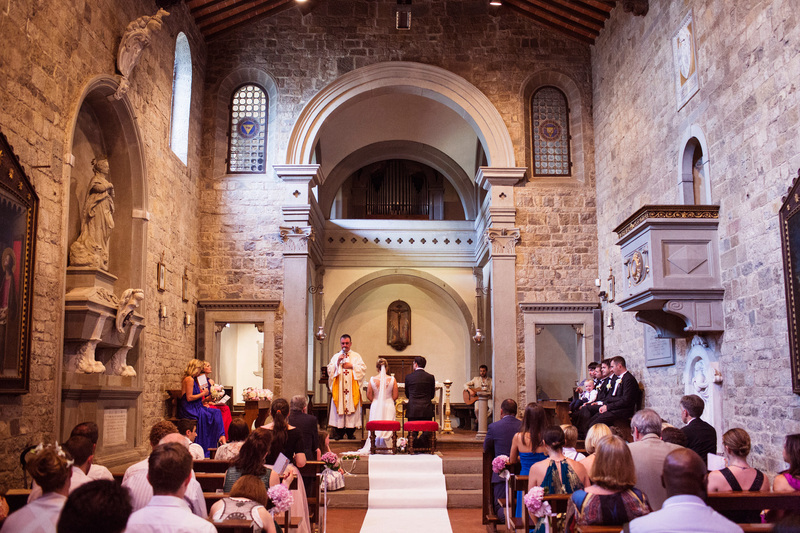 The ceremony took place in Chiesa di San Martino in Maiano, a Medieval church situated near the hillside town of Fiesole just outside of Florence. 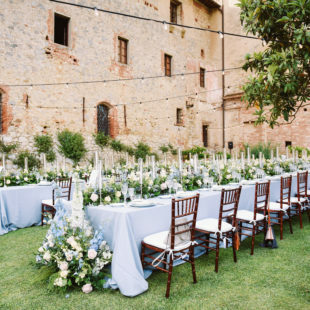 The 11th-century church is built in the Latin cross style with a single nave and a beautiful terracotta relief above the door by della Robia, giving it a warm, intimate feeling. 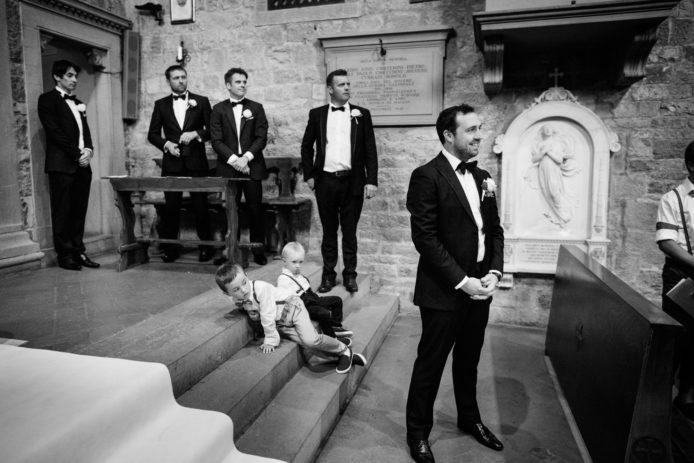 The groom Paul, who is from Ireland, asked his dear friend who is an Irish priest, to officiate over the ceremony adding a special personal touch to their nuptials. 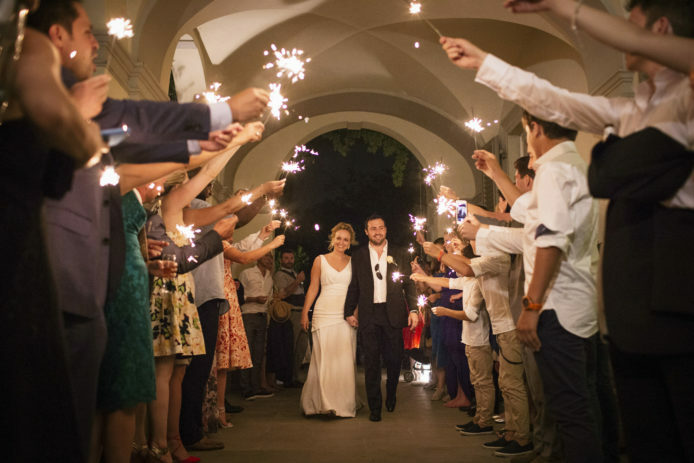 The couple chose Villa La Vedetta, a gorgeous villa which touts a breathtaking view of the city of Florence, as their reception venue. Aperitif was held in the cool, green garden of the Villa which consisted of spriz and prosecco with delicate finger food. 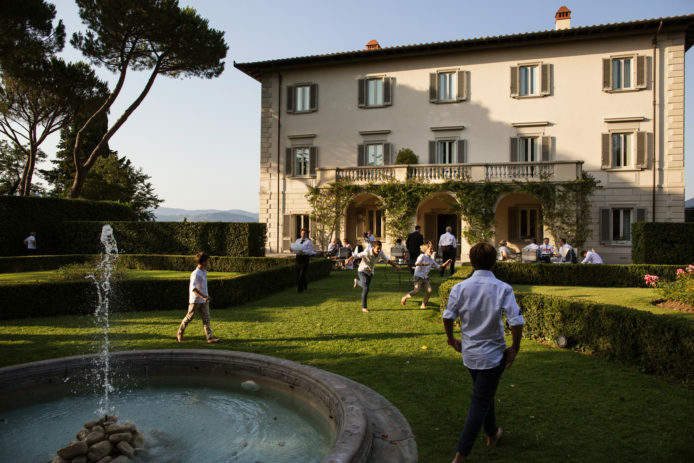 The guests were entertained by a talented guitar duo setting the romantic mood for the evening. 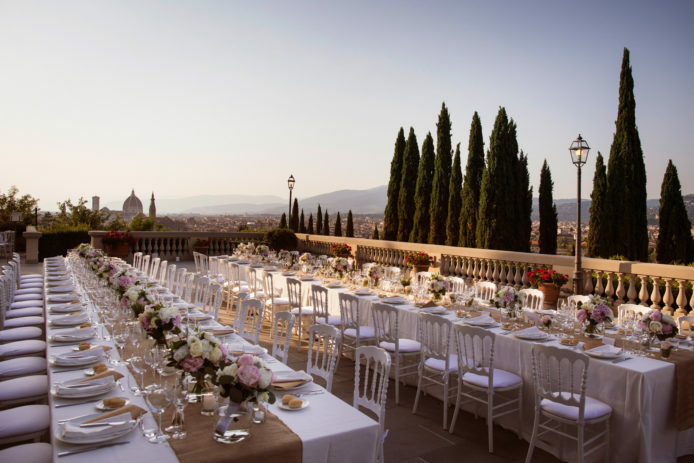 Two long tables were positioned on the rooftop terrace in order to enjoy the breathtaking view. 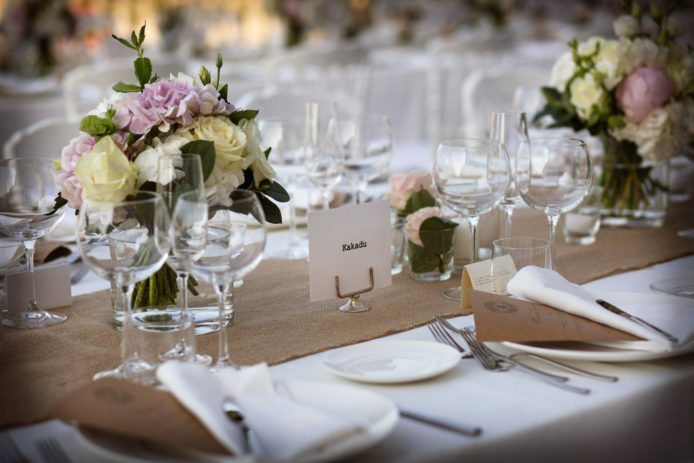 Floral bouquets of roses, hydrangea, dahlias and eucalyptus, in remembrance of Australia, were placed in glass vases and positioned along the tables. 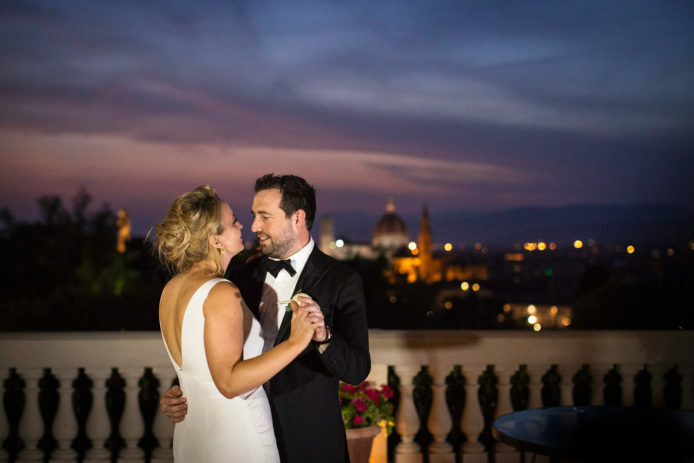 During dinner and after dinner the guests were entertained by a talented swing band where they danced the night away with the lights of Florence in the distance. The bride and groom left the location through a corridor of lights created with sparklers to send them on their way to a new and wondrous life together.